It is a cheerful day for online shopping freaks in Pakistan. 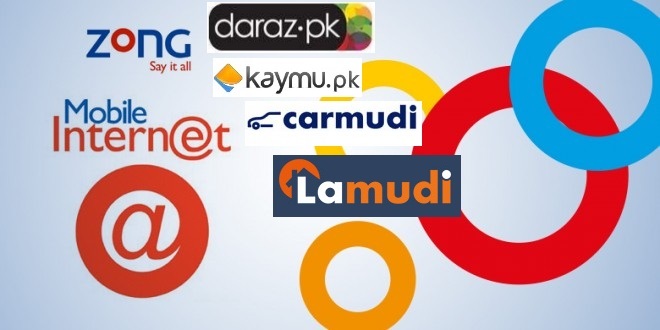 One of the Pakistan’s leading telecommunication companies, Zong has offered its users a great relief in the form of a classified package where they can browse the online buying and selling ventures including Kaymu, Carmudi, Lamudi and Daraz without having to pay anything. Classified Pack is designed for the customers who perform online shopping, search for cars, real estate and want to enjoy 10% exclusive discount on Daraz. Classified Pack provides unlimited and absolutely free access to its customers. Clearly, since these aforementioned platforms have highest internet traffic with millions of people visiting the websites on daily basis, is surely a valuable effort made by Zong. Now that everyone possesses a smartphone, it is natural for people to desire for such packages as the need for people to do trade and transactions by mere one click or swipe. Kaymu.pk: Founded in December 2012 as a venture of Rocket Internet AG, the world’s largest internet incubator Kaymu is Pakistan’s leading online marketplace, where professional sellers as well as individuals can offer their products. The venture seems to have gained quite exceptional growth as it offers a wide range of products and people use it for buying and selling purposes with an atmosphere of certainty. Kaymu is also active on a global scale with operations in more than 40 countries across Eastern Europe, Asia and Africa. It provides a platform connecting potential buyers and sellers all over Pakistan. Lamudi.pk: Lamudi is a part of Rocket Internet family. It caters to the needs of both real estate buyers and seller. Their objective is to connect sellers with potential buyers through the internet. The booming business of real estate is not hidden from anybody in Pakistan. It provides state-of-the-art services and features for real estate agents. Lamudi’s presence has revolutionized real estate buying and selling in Pakistan. Buyers can easily surf the availability of a house or apartment or any other land holding. Similarly, sellers can just put up all the information on the internet and Lamudi will do the rest to connect the two. Carmudi.pk: Carmudi, yet another member of Rocket Internet incubator, is an online portal dedicated to providing easy access to the vehicles available in Pakistan’s vehicle market. With the help of a dedicated team of local and foreign experts and agencies, Carmudi offers access to a large number of listings of certified dealers in all of Pakistan and provide the people with all the details one needs to know about the present and future automobiles in the market. Daraz.pk: Daraz is also an online shopping portal that came out of Rocket Internet’s incubator. It offers a great shopping experience that is claimed to be unparalleled in Pakistan. They provide the most stylish, trendy and reliable products, that are not only affordable by a common man but get things delivered as well. It showcases products from a wide scope of brands: established foreign names to Pakistan’s local retail entities. What if my Twitter account was Hacked?